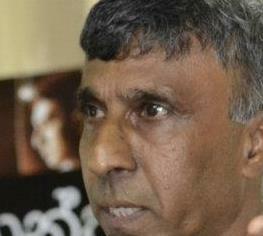 After listening to an interesting, controversial and thought provoking presentation by Prof. Desmond Mallikarachchi at the International Philosophy Day Seminar organised by the Department of Philosophy, University of Peradeniya, I have decided to take up once again the issue previously raised by Dr Jayantha Dhanapala in his open letter and Comrade Carlo Fonseka’s response to it a couple of days ago although Prof Mallikarachchi’s presentation is not directly related to the issue discussed by two learned persons. The question Prof Mallikarachchi posed was: Is Mahavamsa a Meta-Narrative, i. e. a comprehensive and all-encompassing story? I must record in passing that the way in which the University of Peradeniya has treated Prof Mallikarachchi, an eminent scholar, after his retirement, is disgraceful. we, university teachers, need scapegoats. 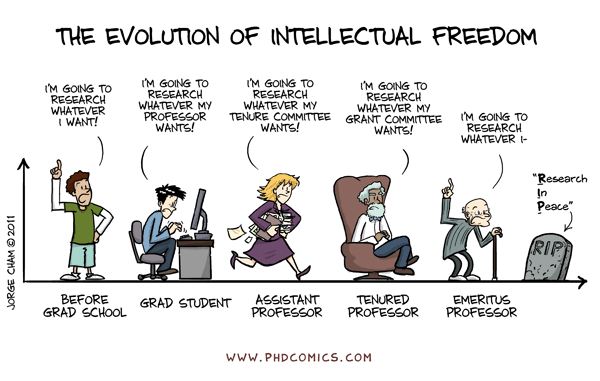 In the current situation it is the lack of academic freedom. Substantial a number of university teachers are prone to a disease that led them to consider teaching as ‘work’. that some of the teachers resisted such performance-based grants. As in other sectors in this overarching consumerist culture, it is not need but greed that governs university teachers’ behaviour and attitudes. Speaking from my own personal experience of some forty-five years as a university student and teacher, I can see a drastic decline in the quality of teaching in our universities. Let me qualify by saying that my observations are applicable and may be valid only to the teaching of social science and humanities. One may argue justifiably that the universities would develop as better centres of learning and creation and dissemination of knowledge if those institutions are given more autonomy, academic freedom and better salaries for university dons. Moreover, more facilities for students would enhance the interests of the students. However, just reiterating this general and rather abstract truth will not be adequate for overcoming the flaws and weaknesses of the Sri Lankan university system. In my opinion, many of these flaws are internally generated; outside interference might have contributed to making them more pronounced. Let me list some of the factors that led to quality degeneration. First, many faculties in the Sri Lankan university system restructured their programmes from the term-based systems to semester-based systems. In accordance with the new system, in addition to end of the semester examination based evaluation a continuous evaluation was introduced. Although it was said that system worked well in the US and many other countries, I would submit that it has become a total failure in Sri Lanka. In social science and humanities, this system fails to give a comprehensive and critical view on the subject to students. The tutorial system that was a key feature of the previous system was replaced by assignments. Hence the interaction between teachers and students and classroom discussion was abolished. Although teachers claim that the new system increases their work load, they have found ways and means of reducing their working hours significantly. Let me give an example. In the last five years or so I asked economics graduates who passed out with first or second class upper division to give in two sentences the essence of the theories of J M Keynes. Only one out of ten were able to give a satisfactory answer. I asked the same question from my final year students at the beginning of this academic year, none was able to give an answer. How do we explain this? This relates to my second reason. Instead of addressing issues in creative and innovative manner, we tend to seek formalist answers. When we witnessed the deterioration of quality, we create new section called quality control and comes up with formalist formula completely neglecting the fact that the teaching has suffered primarily because teachers do not read books and they do not try acquire new knowledge. The VCs, the Deans and Heads of Departments were burdened with paper work. When I was a student, the then Dean of the Faculty of Arts, Prof H A De S Gunasekera was also Head of the Department of Economics. While performing the both functions, he took more than ten lectures and tutorial classes a week. And he was an excellent teacher equipped with knowledge of the latest development in the subject. The excessive formalism has given rise to excessive bureaucratic structures in the universities. Thirdly, substantial a number of university teachers are prone to a disease that led them to consider teaching as ‘work’. When I joined the teaching staff as an assistant lecturer in the early 1970s, I used to teach more than twenty hours a week for five different courses. In recent years, at the faculty and department meetings what I witnessed was that if a lecturer is given a ‘work’ load of nine hours week, they began to complain. In addition, some lecturers, small in number, do not conduct lectures at all and ask junior or temporary lecturers to do the lecture on behalf of them. Hence the hierarchy is misused to exploit juniors. Some, once again small in number, are present in the university only two days a week. And some dons tend to manipulate leave system (real and hypothetical vacation etc) in the university system to avoid teaching during the semester. None of the formalist formulae work to transform this tragic situation. All these are internally generated factors. However, we, university teachers, need scapegoats. 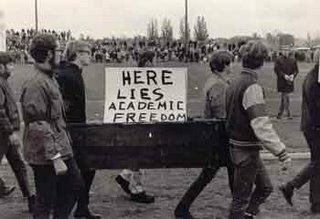 In the current situation it is the lack of academic freedom.